Guest stars on The Office weren't an uncommon occurrence. The show went on for a whopping nine seasons (201 episodes), so there was plenty of time for additional actors on The Office, outside of the brilliant ensemble cast. Some of the The Office guest stars appeared briefly, while others had multiple episode extended stays, but there were so many that it's not always easy to remember them. Let's refresh our memories and take a look back at some of the people you forgot were guest stars on The Office. Amy Adams debuted as Katy the purse girl. She comes into the office to sell handbags, but winds up dating Jim until he dumps her in Season 2. With Deangelo Vickers in a coma, Dunder Mifflin interviewed candidates for the open position. 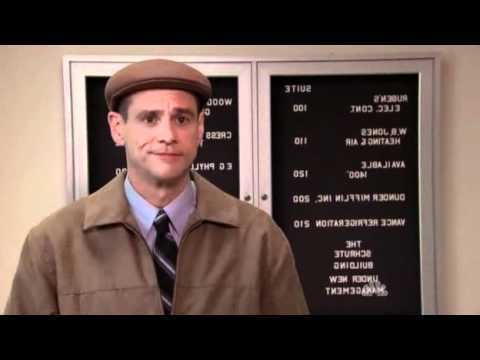 Finger Lakes Guy was one of the applicants, and it's a real shame The Office only had one episode with Jim Carrey. Josh Groban as Walter Bernard, Jr.
Groban stepped into the role of Andy's younger brother. He attends Andy's garden party at Schrute Farms, upstaging Andy and basically being the typical "favorite son." Another character from the episode, "Search Committee," Romano played Merv Bronte, who was applying for the regional manager position in Scranton. Howere his interview with Jim doesn't go too well, and this would be his only episode in the series.